UseTrailingStop - enable/disable trailing system. TrailingStartPip -profit pips / that trailing system start. TrailingStop - pips / that how much pips follow from back ( exp. When 5 pips profit and set this value 1 pip then it will set profit stoploss at 4 pips back from bid price). TrailingStartPip2 - profit pips / that trailing system start after first trailing take the profit at this value. TrailingStop2 - pips / that how much pips follow from back ( exp. When 5 pips profit and set this value 1 pip then it will set profit stoploss at 4 pips back from bid price). Auto Lot by balance - Set true if you want to set lot values directly by your balance. Auto Lot size - Using for calculate your lot by balance. Static Lot - Using when AutoLot closed for set lot value. Robot Open - Enable/Disable robot. Allow buy trades - Allows buy trades. Allow sell trades - Allows sell trades. Allow Monday trades - Allows monday trades. Allow Friday trades - Allows friday trades. 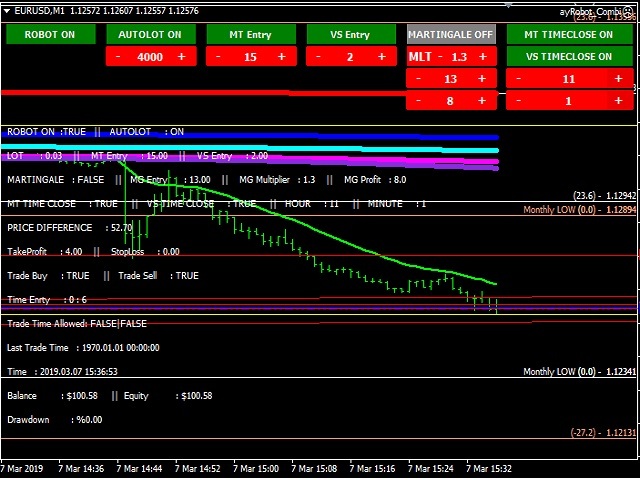 Order entry distance (pips) (Strategy1) - Pips value for strategy1 to open order. Order entry distance (pips) (Strategy2) - Pips value for strategy2 to open order. 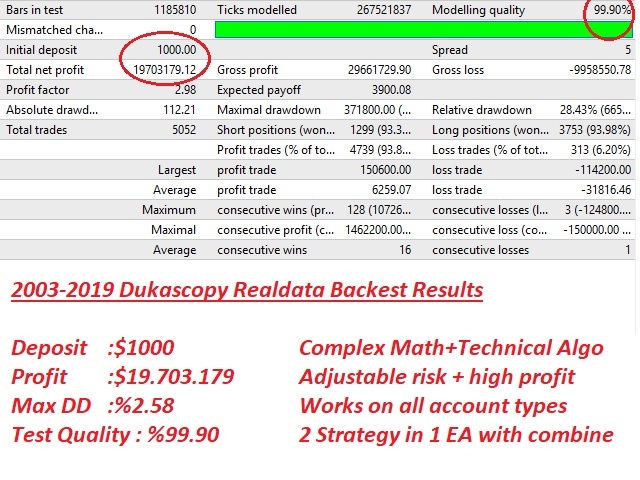 Max Spreads allowed (pips) - Maximum allowed spread pips value for to open order. Max total orders - Recommended “1”, but your lot size is very low by balance then can set it up to 5. Next order open time - Recommended "1 day" but if you want to make scalping select lower. 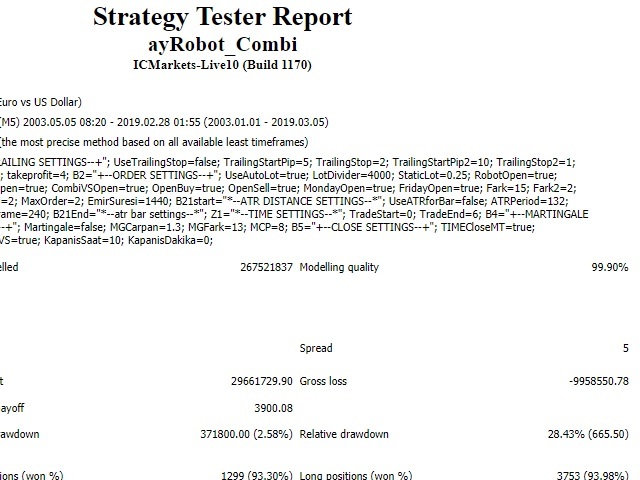 Use ATR for order entry (Strategy1) - set true for automatic adjustment order entry distance. (Default=false). Atr Time Frame - Atr time frame. TIME SETTINGS - Values for trade hours Robot will not work out of these hour sets. Martingale open - Enable/Disable Martingale follows your open orders automatically instead of using stoploss. Martingale Multiplier - Increase lot size for second and the following orders. Martingale Difference (pips) - Distance for next order. 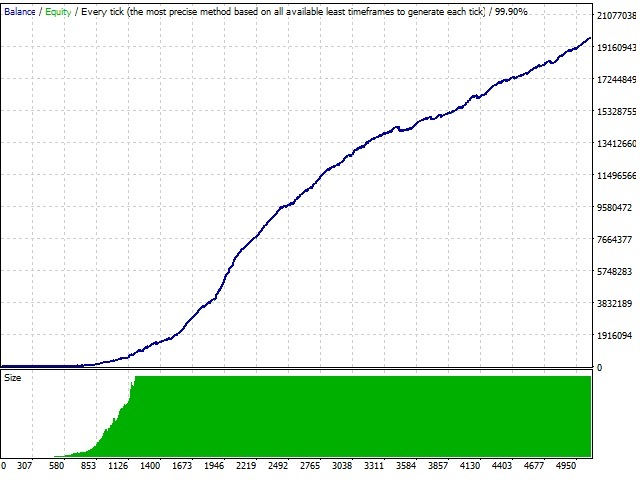 Martingale Profit (points) - Total profit for all martingale orders. Close all orders by time (Strategy1) - Set true for close orders after a time. Close all orders by time (Strategy2) - Set true for close orders after a time. 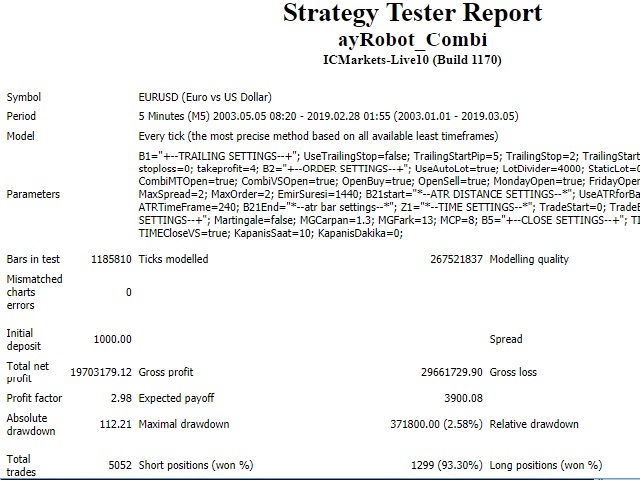 You can use this robot every symbol in forex, recommended EURUSD. Low spreads = low commission + high quality execution are important when choosing a broker to trade.